At a press conference today, D.A.R.E. America announced its entrance into the fight against opioids by unveiling a new curriculum focused specifically on the dangers of opioids and prescription drugs. 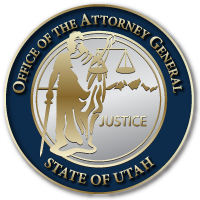 Utah Attorney General Sean D. Reyes and DEA District Agent in Charge Brian Besser were on hand to support the new move for the decades-old program. Over 2.5 million Utah students have been trained in drug awareness and preventions since D.A.R.E. launched almost three decades ago. However, as the challenges of youth have changed, the D.A.R.E. education programs have had to evolve to meet those ever-increasing needs. The recent rise of opioid addiction and overdose deaths have compelled D.A.R.E. America to create lesson plans that help students navigate a new reality throughout the states. These lesson plans go beyond the traditional “Just Say No” slogan to strategies that provide students with the skills and knowledge needed to help their peers who may be struggling as well as make good and healthy decisions in every area of life. This entry was posted in Recent Posts and tagged Brian Besser, DARE Program, DEA, Opioids, Sean D. Reyes, Utah Attorney General, Utah DARE Program on October 26, 2018 .